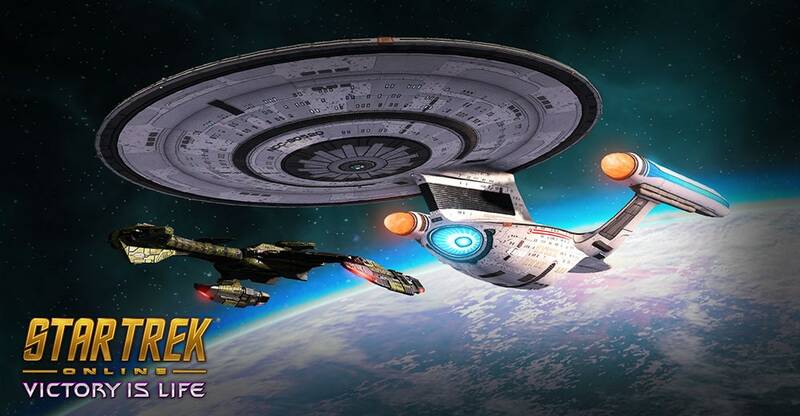 Starting this Thursday September 13th, new Cruiser-class and Battlecruiser-class vessels are being made available on the C-Store for Federation and Klingon characters, and their respected allied members among the Romulan and Dominion factions. These new vessels will be available in both Non-Fleet and Fleet variants. Special Introductory Pricing Discount! From Thursday until Monday, September 17th, you can get these ships for 2400 ZEN each when purchased individually, or in a 2-Ship Bundle for the price of 3200 ZEN. Thereafter, they will return to their normal pricing at 3000 ZEN when purchased individually, or 4000 ZEN for the 2-ship Bundle. Fleet versions of each of these starships will unlock upon completing your Fleet Starbase’s Tier 3 Shipyard. The standard Fleet Module discounts apply if you have purchased the ships from the C-Store. This bundle of starships all have a Commander-rank Temporal Operative Bridge Officer seat, and are considered Primary Specialization starships of the Temporal Operative type. As a result, they all come with the “Molecular Reconfiguration” set of starship abilities. Temporal Starships are capable of making subtle alterations on the molecular level through the use of Molecular Reconstruction. This technology allows the starship to assume 1 of three different Configurations: Defensive, Offensive and Support. Each Configuration has their own strengths and weaknesses. Each of the Configurations generate their own specific counter. Up to 6 Counters can be generated at a time. These Counters are used to fuel your Molecular Deconstruction Beam. Defensive Configuration: While this configuration is active, the starship's systems will dynamically reconfigure to fill more of a defensive role. This provides a boost to Maximum Shield Power and Incoming Hull Healing. This comes at a cost of a small reduction to Flight Speed and Turn Rate. Defensive Configuration generates 1 Defensive Counter every 10 seconds. Offensive Configuration: While this configuration is active, the starship's systems will dynamically reconfigure to fill more of an offensive role. This provides a boost to Maximum Engine Power, Speed, and Turn. This comes at a cost of a small reduction of Incoming Hull Healing. Offensive Configuration generates 1 Offensive Counter every 10 seconds. Support Configuration: While this configuration is active, the starship's systems will dynamically reconfigure to fill more of a support role. This provides a boost to Maximum Auxiliary Power, Control Strength, and Exotic Damage. This comes at a cost of a small reduction to Energy Weapon Damage. Support Configuration generates 1 Support Counter every 10 seconds. Molecular Deconstruction Beam: Activating this ability requires a total of 6 Counters generated by Defensive Configuration, Offensive Configuration, or Support Configuration. Molecular Deconstruction Beam deals Physical Damage over time and Disables the target, in addition to healing your hull over time. This power's damage scales with the number of Offensive Counters consumed. Its Hull Healing scales with the number Defensive Counters consumed. Lastly, its Disable duration scales with the number of Support Counters consumed. Activating this ability will consume all Offensive, Defensive and Support Counters generated from Configurations. This starship features a Commander Engineering/Temporal Operative Specialist Bridge Officer seat. The Fleet Support Cruiser (T6) has been specifically designed to support your Fleet. Fleet Starships are built to the highest standard and have increased Hull Hit Points, Shield Strength and an additional Console slot. The Vor'cha was originally introduced in 2367 as a response to the increasing tensions of the Borg, Dominion, and Cardassian threats that marked this stressful time in history. Over the new few years, this versatile and sturdy warship proved its worth time and again, captained by many different able-bodied Klingon warriors. This updated version of such an honorable lineage has taken the same qualities that made it a staple of the Empire's fleet, and improved them for this new age of conflict, with the intention that the Vor'ral-class will be the answer to the instability of this age. The Fleet Support Battlecruiser has been specifically designed to support your Fleet. Fleet Starships are built to the highest standard and have increased Hull Hit Points, Shield Strength and an additional Console slot. Manipulating localized spacetime allows this complex technology to shift the chronometric energies from one starship's continuity to another's. This process is explained in layman's terms as "stealing time" from the target -- by redirecting temporal energies, they become slower while you become faster. Relatively speaking, of course. These energies translate as a reduction to the foe's weapon firing speed, ability recharges, and defense ratings, while those same aspects of your own starship's performance are increased. This console also provides a passive boost to Defense Rating and Starship Scientific Readiness skill. This console may be equipped on any console slot, on any starship. Only one of these consoles may be equipped on a ship at a time. Prolonged conflicts become more desperate - and more heroic - as time wears on, and only those ships and crews with the fortitude to withstand such onslaughts are remembered in the annals of history. With this trait slotted, each Foe that damages you will grant you a stack of History Will Remember, which imparts increased weapon damage, hull capacity, and hull regeneration. Each foe only counts for a single stack, no matter how many times they damage you. Each stack will last until you leave the map, and you may have up to 30 stacks maximum. Stacks may only be gained a maximum of once per second.